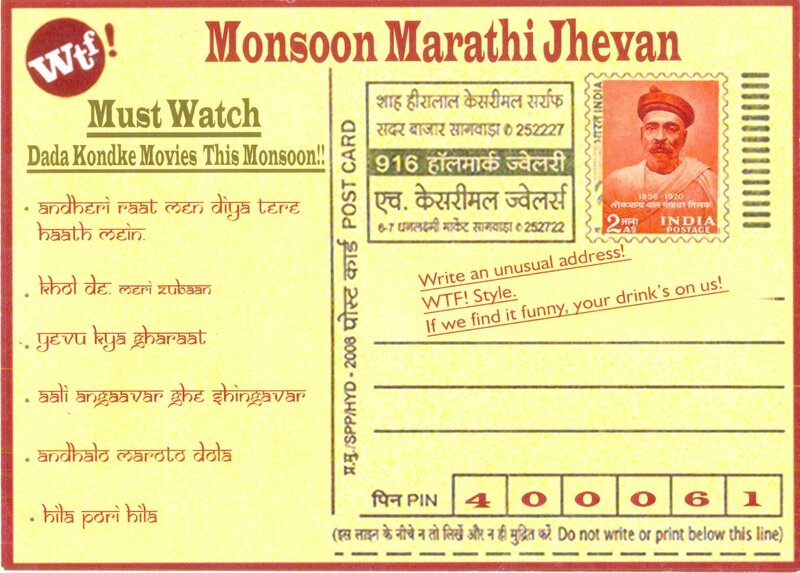 When the Monsoons arrive, they bring with them muck and fun! Amidst the muck that you travel through everyday inside your fancy umbrella, you wish you could just hang-out with friends over a simple drink and hot piping food. 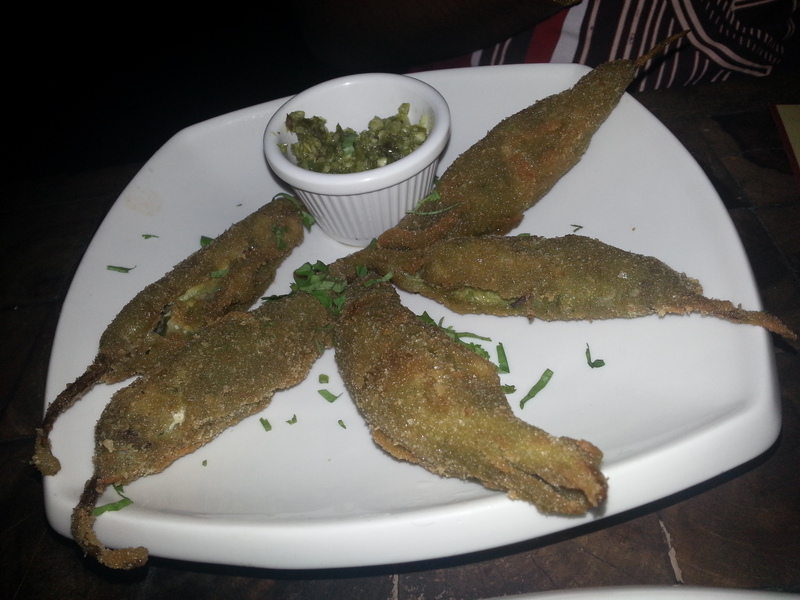 We stepped out to visit WTF – Versova (Andheri, Mumbai) when it just stopped raining. Hoping to stay clear off the puddles and the drench we entered with great anticipation to taste the Maharashtrian Jhevan feast. We got comfortable immediately so comfortable that we ordered for the menu right away. Post our food orders we decided to chuck being formal (since we went out with professional friends) and ordered large pegs of our first drinks of the evening. The menu had an assortment of veg and non-veg options. Out of which the non-veg variety had more to choose from. Although the place got busier by the minute, luckily our food was on our table on time. We feared it may take a while but guess what WTF is such a buzzing hang-out place that all you would want to do is sip your drink and laugh.out.loud with your company. But mind you, don’t ask for a non-alcoholic drink or a fresh lime – you may never get it! Out of the veg options the Kothambir (Coriander) Vadi was a disappointment; it was one of the things we were excited for. We do at the same have to mention that the concept of the traditional item was good, just that it did not suit our tastes, probably. Kaanda Bhajji (a variant of Onion Rings) just missed being a hit! So the concept here was big round patties instead of the round handfuls. 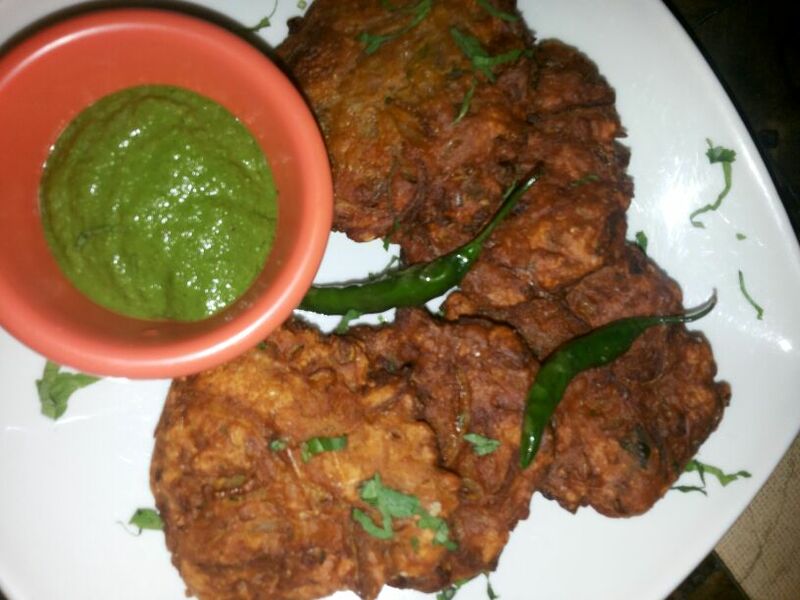 We were not too impressed with the patty form of the ‘bhajji’ but it did match the taste to our expectations. We obviously gorged on them, none the less even if they were not crisp as the original version. 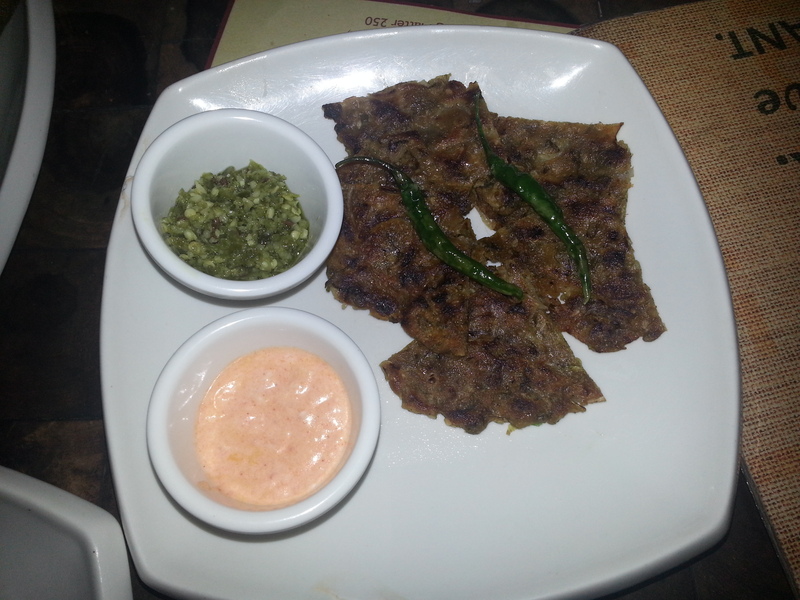 Thaali Peeth (Pan Cake variant on the more spicy side) was a hit, in its small portion version. They were very scrumptious yet small triangle pieces that sent your taste buds on a joy ride. The chutney, actually just a green chili paste (a.k.a Thecha in Marathi) gave you the additional spice which will only keep you huffing and puffing. Even that will not stop you from talking another bite… it was indeed mouth watering! 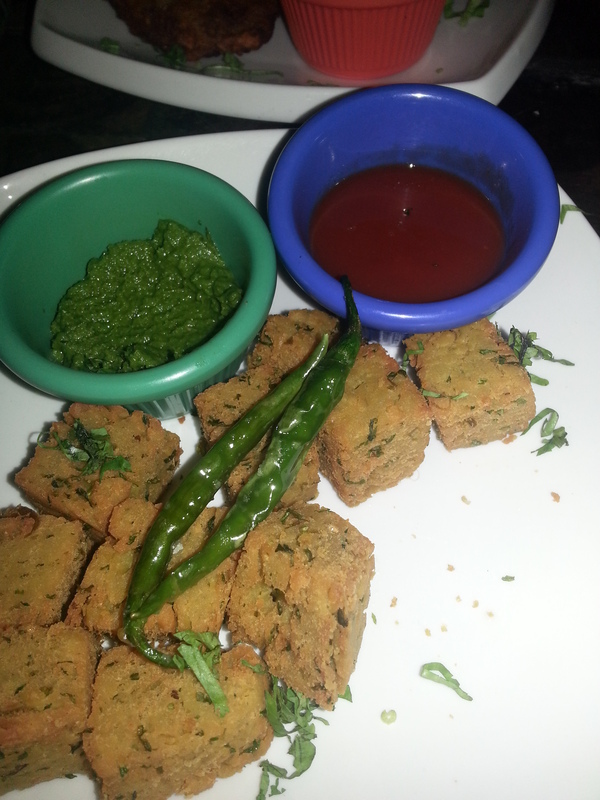 Bafle (A Vidarbha wheat snack) was the star of the evening for us. It was stir fried and then sprinkled with spies. Surprisingly it was not oily nor did it smell like it was fried, it seemed baked instead. It was the best side dish with our poison spirits of the evening. 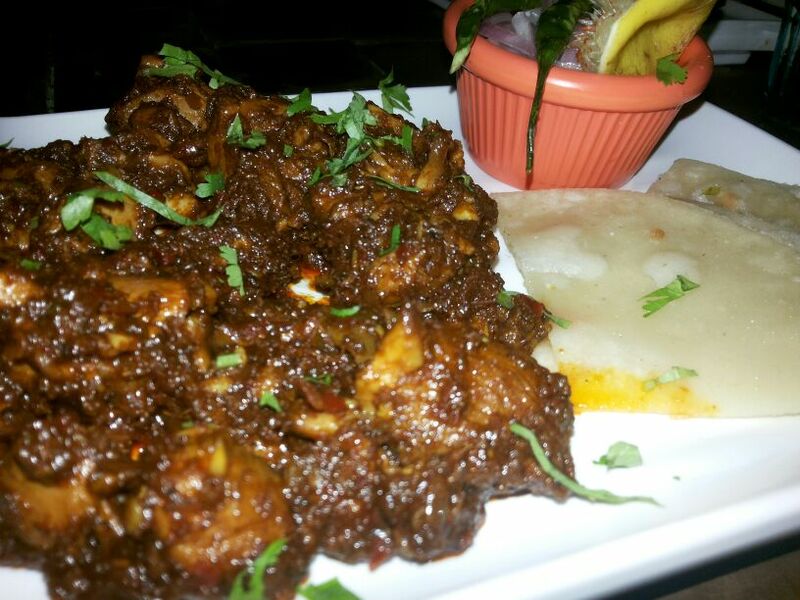 Among the non-veg assortments the biggest disappointment of the evening was Komdicha Rassa (Chicken Curry). It is usually served in a deep vessel with big chunks of chicken pieces and really liquid curry. It has to have a layer of oil that will only want you to put the vessel to your mouth and drink it! The one we were served was dry! 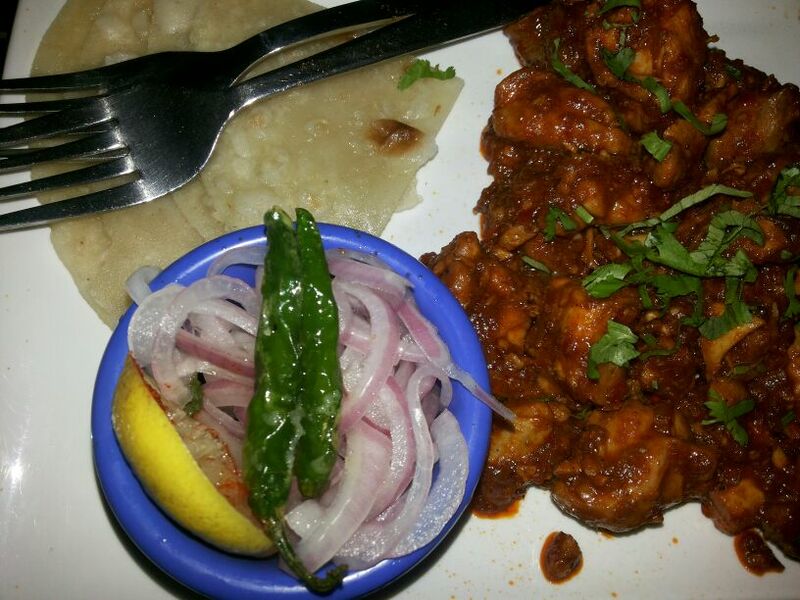 Served with small pieces of naan, it tasted nothing different that chicken barbeque starter. 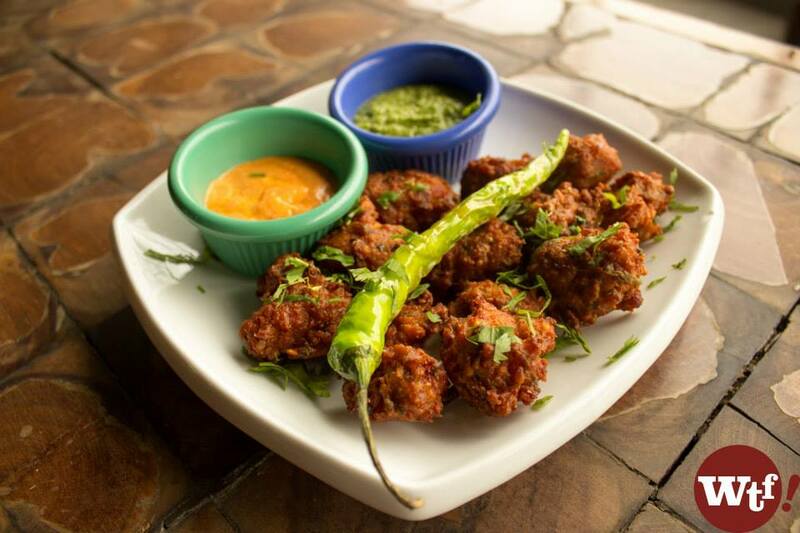 On the other hand Kolhapuri Chicken Sukka was round-the-mill but the Moongdal chicken Bhajji was a winner. It was like small chicken pops with ketchup or chutney as a taste booster. The Chicken was not just juicy but it also left us asking for more. The Chicken Hirvi Mirchi (Chicken Green chilli) was a very good surprise. Though the dish said chilli the spice was under control. 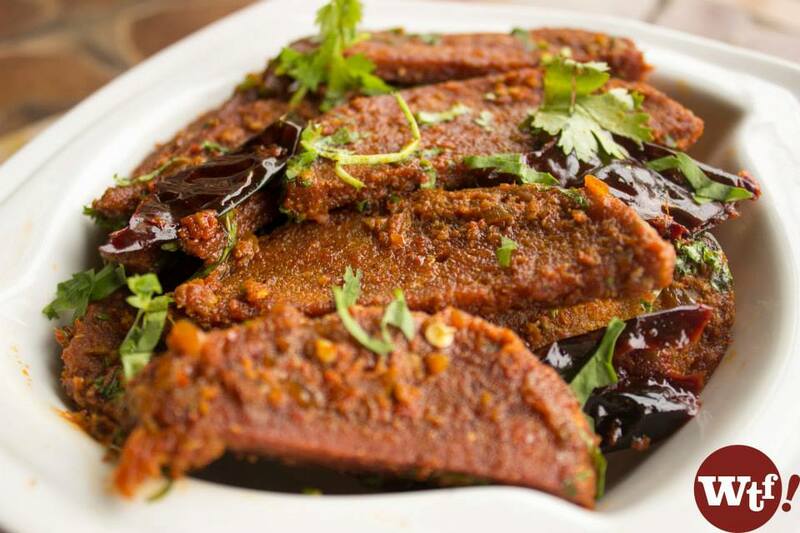 The long chilli had a good filling of minced chicken with a dash of green chilli spice, Maharashtrian style! All in all, we had a great time and bonded on different levels with our colleagues. It happened over some awesome food which won us some brownie points 😉 We want to congratulate WTF for the innovation in the routine Maharashtrian food. We think WTF is one of the best hang-outs for after office bonding, catching up with friends after a long time or just to drop your shopping bags, have a drink and relax! Was looking for some recipe n redirected to your page 🙂 Lovely space you have… Happy to connect!! !